The open area is located in a prestigious shopping mall in Mong Kok. 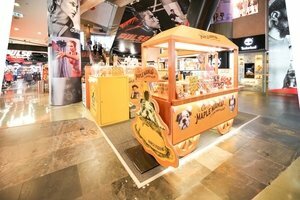 It is dedicated for booths, with the size of 322 square feet, which is now available for brands to organise a pop-up store or a product showcase. It is located on the seventh floor of the shopping mall. 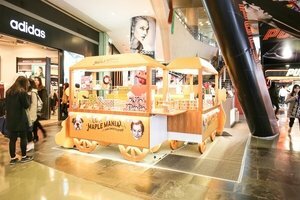 Yet, it is still easily accessible as it is just a few steps away from the long escalator in the mall, nestled in the centre of a mini lounge which offers a fairly high visibility for brands here. 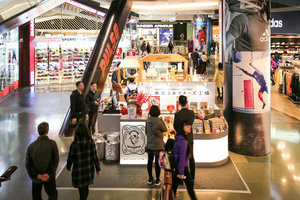 Comparing with other open areas in the mall, it is slight bigger such that brands would have greater flexibility in terms of the organisation and the layout of the pop-up store. On the other hand, it is equipped with basic lighting and air-conditioning, brands with specific needs should be aware about it. Nevertheless, the open area is definitely a prime location for brands to raise awareness and broaden the customer base!